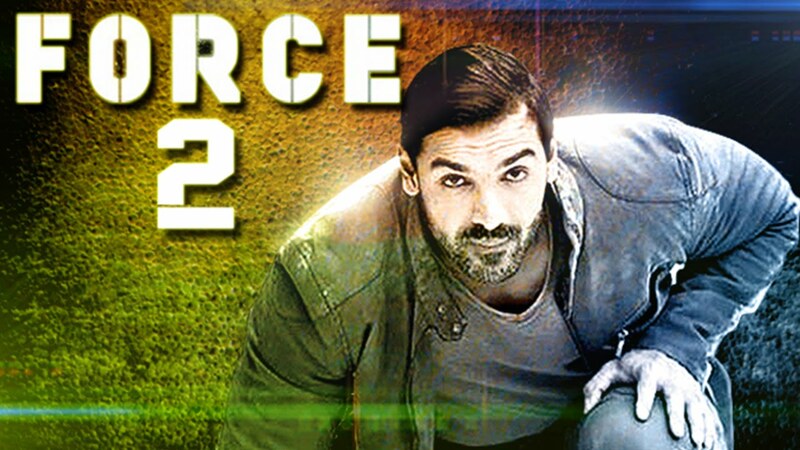 John Abraham plays the brooding cop who still broods over his now dead wife, who was killed in the war against drugs in the first edition of the movie. So much so that he still has visions of her talking to him. And now he receives another shock; his friend is among three RAW (India’s innocuously named covert operations agency , for the full form is ‘research and analysis wing’) agents who have been killed in China . But his friend has sent a clue to him that means that the person who revealed the names of RAW agents and caused their deaths at the hands of the Chinese is in the Indian embassy of Budapest, which is the capital city of Hungary . It is a job for RAW and not a cop like John, but ‘Action Abraham’ has the FORCE to break through all barriers and protocols and he is the one who is sent to Budapest with a lass- Sonakshi Sinha. The action of course has started way before John even enters the screen and it is breakneck and breathless. Once he enters, the fights hot up at double the speed. From putting the fear of hell among mean goons in dusty construction sites to fighting with highly trained men firing accurate shots from sniper rifles mounted on helicopters- John does it all. Sonakshi proves more a clownish character who cannot fire her gun at the nation’s enemies at the decisive moment, but she proves mighty useful flashing her RAW agent i-card to get inside restricted places. Now do they carry an i-card in foreign countries, these RAW agents? Are they really THAT secret? LoL. Sonakshi also inadvertently gets to fix a one night stand between John and a hot babe but ‘Action Abraham’ is only pure action and no bang bang- more like Rambo and less like James Bond. And Rambo would be proud of Abraham’s body- so powerfully well muscled that it can carry the entire weight of a film on his admittedly broad shoulders. And he has to carry that weight, for the villain (Tahir Bhasin) is an unknown and Sonakshi just doesn’t fit the bill. Tahir acts totally cocksure, taunting and sniggering at the two agents all the way. He is not bad acting wise. And the taunting and sniggering goes on all the time as the chase for catching him goes up and down buildings and alleyways. The firing of guns is outclassed only by the thumping of feet while giving chase to the elusive quarry. In all this, Sonakshi feels more like a dead weight chained to John. It is a man’s world, this world of spies and secret agents. Women are not of much use here and our action Abraham is not even James Bond. He is a one woman man and even the vision of his wife prodding him towards Sonakshi does not have much success. The film does make an emotional pitch however, asking us to not forget the sacrifices that RAW agents have done for the country. Asks us to acknowledge the fact that their sacrifices are not recorded like those of soldiers because they have died on covert missions. Wants the names of RAW agents who died for the sake of the country to be declared so that their families can be proud of them in public. And says that India is changing and is not afraid to attack the enemy in his lair, as the surgical strike to take revenge for the Uri terror strike shows. This made me up the rating of the film from two to three stars, though some in the audience were sniggering at Bollywood’s attempt to cash in on the surgical strikes. Photography of the film is decent and the colours are ok. The music is not powerful and the one or two songs are forgettable. Acting is decent by everybody.